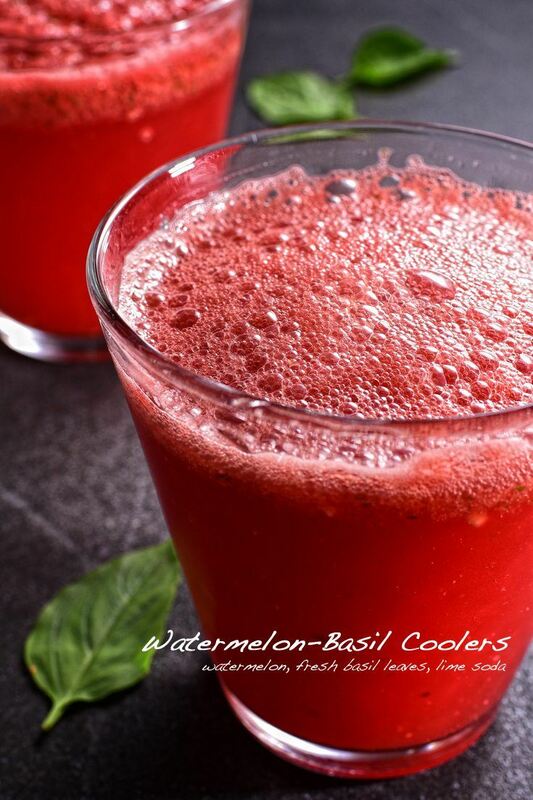 The fresh and aromatic flavor of basil went really well with the natural sweetness of ripe watermelons. A refreshing cooler that's definitely worth making over again! Serve the family with something refreshing and healthy. An enjoyable way of giving the kids their needed dose of vitamins and antioxidants! 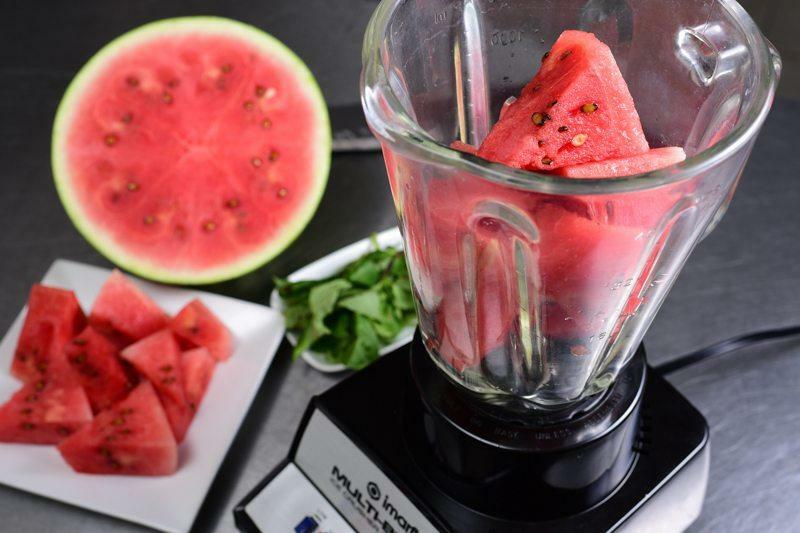 Blend the watermelon and basil until smooth. Pour watemelon blend halfway through serving glasses. Top with chilled lime soda. 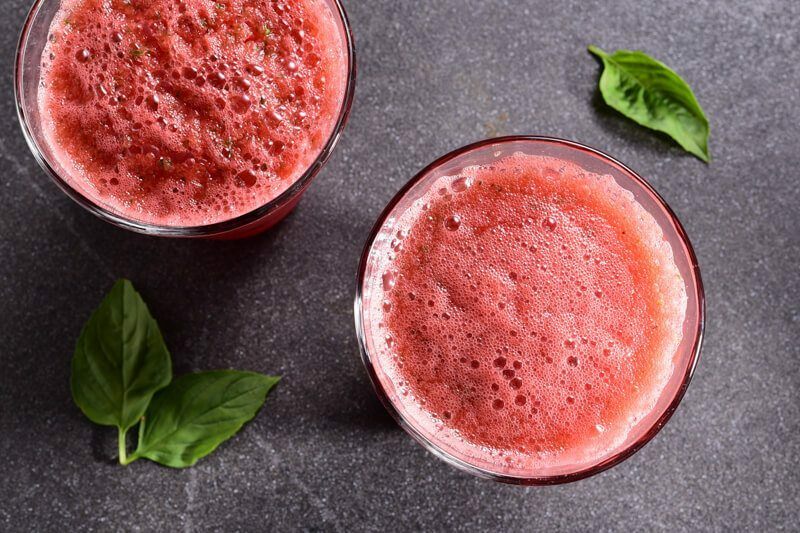 Cool down with this perfectly fresh and straightforward summer cooler. Needing nothing more than a few seconds with a blender, there simply is no excuse to serving the entire family with a drink that's both refreshing and healthy. 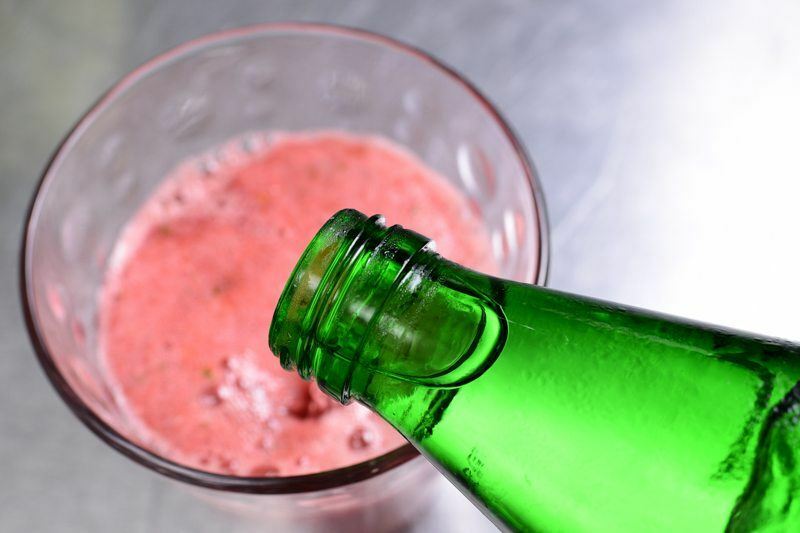 There really is nothing more to this fancy-sounding drink than getting those main components blended up, chilled, and topped with some sparkling of your choice. Basic club soda, lime soda, or any sparkling water would do. A Prosecco, or any alcoholic bubbly, would also be nice, making this drink more appealing to the adults. Given how simple this is to prepare, I've really got nothing much to say. A quick run-through on the many wonderful health benefits of watermelon might interest you. Mostly made up of water, 92 percent to be specific, watermelons are low in sodium, high in fiber, definitely fat-free, and only contain 40 calories per cup. Don't let these numbers fool you though, as this quintessential summer fruit is much more nutritionally dense than you might think. Watermelons contain very significant layers of lycopene, in fact, one of the highest among other various types of fresh produce. Besides giving the fruit its wonderfully vibrant red hue, this phytonutrient is proven to trigger multiple healthy reactions within the body, being linked mostly with heart health, prostate cancer prevention, and battling inflammations. 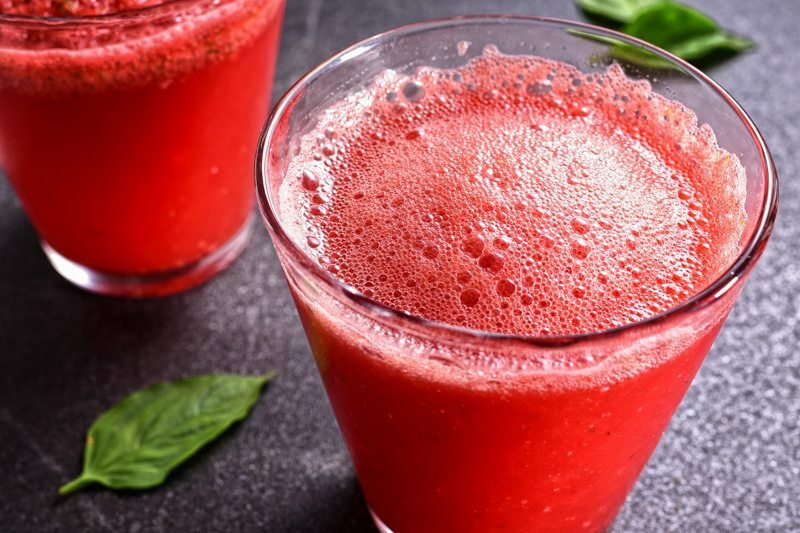 Beta-carotene, an antioxidant that develops as watermelons ripen, are also well-known for boosting immunity, maintaining skin and eye health, and aiding cancer prevention. Rich in vitamins A, B6 and C, antioxidants, and amino acids, this perfect summer treat will surely get the body functioning optimally. 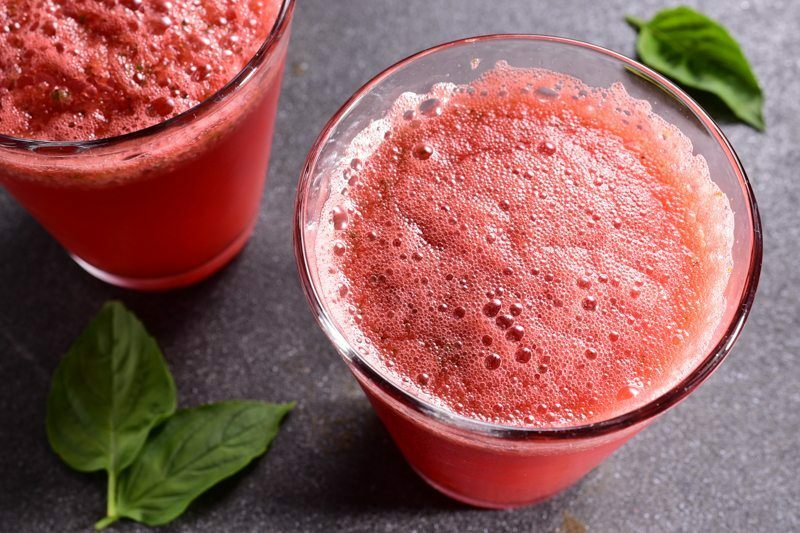 This simple summer cooler does refresh the body beyond the palate, working bigger wonders from within! 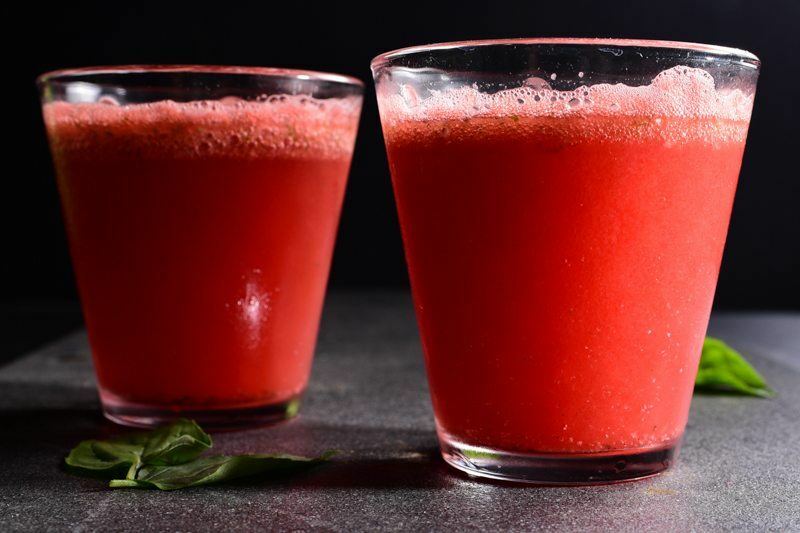 Already refreshing on its own, watermelon is joined by a few basil leaves, known for its cooling effect, making this drink a much more refreshing treat. A few sprigs of fresh mint would be perfect in the absence of basil, or simply used altogether in combination. If the addition of lime soda may put some of you off due to its high sucrose content, plain seltzer water would be a nice alternative. You may need to add some sort of healthy sweetener though, such as agave syrup or liquid stevia to compensate for that lost sweetness. 10 Delicious American Sous Vide Recipes!